Home >> Hashing it Out: Can We Learn About Cannabis From What We Know About Alcohol? 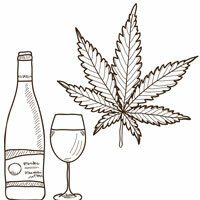 Hashing it Out: Can We Learn About Cannabis From What We Know About Alcohol? Please join BC Alliance for Healthy Living on Wednesday, October 25th from 9:00-10:30 am Pacific Time for a webinar in which we will explore the public health parallels between alcohol and cannabis. We are delighted to have two very knowledgeable people, to guide our discussion on this very timely topic. Dr. Tista Ghosh is the Medical Health Officer of Colorado, one of the first two states in the USA to legalize the recreational use of marijuana. She will share some of the lessons they learned and provide some advice on how public health can respond and inform policy as marijuana is legalized. Dr. Tim Stockwell will speak about the recent loosening of alcohol laws in BC and the impact it has had on public health as well as some of the pricing measures that can reduce excessive consumption. Dr. Tista Ghosh is a physician trained in both internal medicine and preventive medicine, with a master’s degree in public health from Yale University. She also has had specialized training in applied epidemiology and public health practice through the U.S. Centers for Disease Control and Prevention’s Epidemic Intelligence Service Program. Ghosh has experience in both communicable and non-communicable disease epidemiology and public health research, as well as more than a decade of experience in public health at the local, state, federal and international levels. She serves as the deputy chief medical officer of the department and the director of our health divisions. Dr. Tim Stockwell is a Professor in the Department of Psychology at the University of Victoria and was appointed Director of the Centre for Addictions Research of BC (CARBC) in 2004. He has published over 350 research papers, book chapters and monographs, plus several books on prevention and treatment issues. Dr. Stockwell was engaged in both clinical and research work in the UK before spending 16 years with Australia’s National Drug Research Institute as Deputy Director and then Director. He studied Psychology and Philosophy at Oxford University and obtained a PhD at the Institute of Psychiatry, University of London. He was President of the international Kettil Bruun Society for Social and Epidemiological Research on Alcohol, 2005-2007. He received the 2013 EM Jellinek Memorial Award for outstanding research on social, cultural and policy aspects of alcohol with special mention of his work on minimum alcohol pricing. He also received a 2014 Health Research leadership award from Research Canada on behalf of CARBC. Tim is committed to the advancement of public policy on substance use issues, and has established CARBC as a research centre which aims to shed light on the social, cultural and psychological determinants of harmful substance use, which applies rigorous measures of patterns of use and related harms, and which advances knowledge of effective policy and practice.